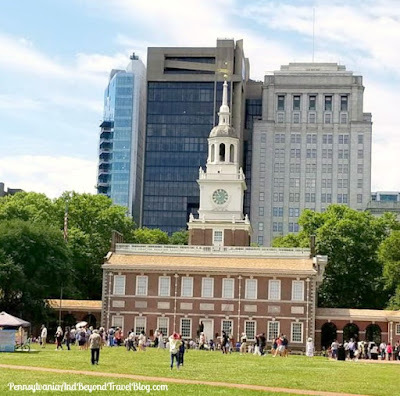 A few weeks ago we took a day trip down to Philadelphia, Pennsylvania to visit some of the historical sites around the city. One place that we visited was Independence Hall. 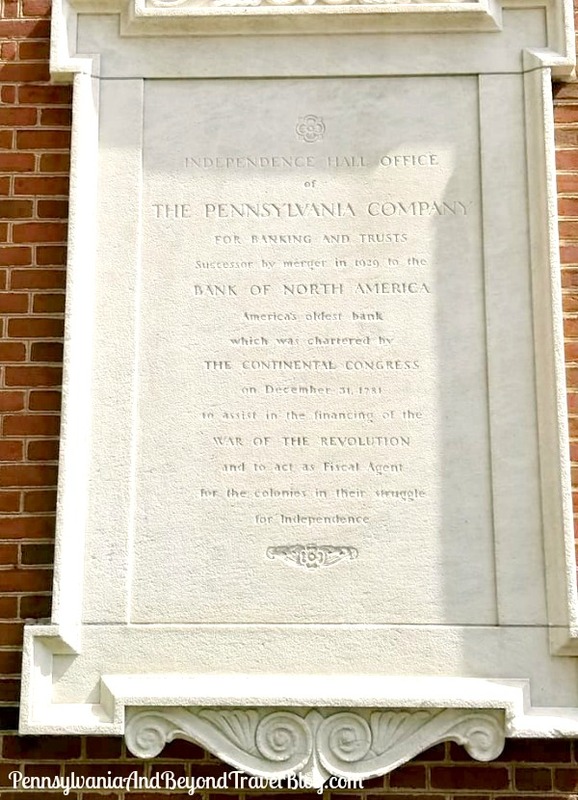 You'll find it located on Chestnut Street, between 5th and 6th Streets. Entrance is through a security screening area on Chestnut Street. On the day that we visited, there was a line and we had to wait a little bit to get in. Once we were through the security area, we had to wait for about 40 minutes until our official tour began. 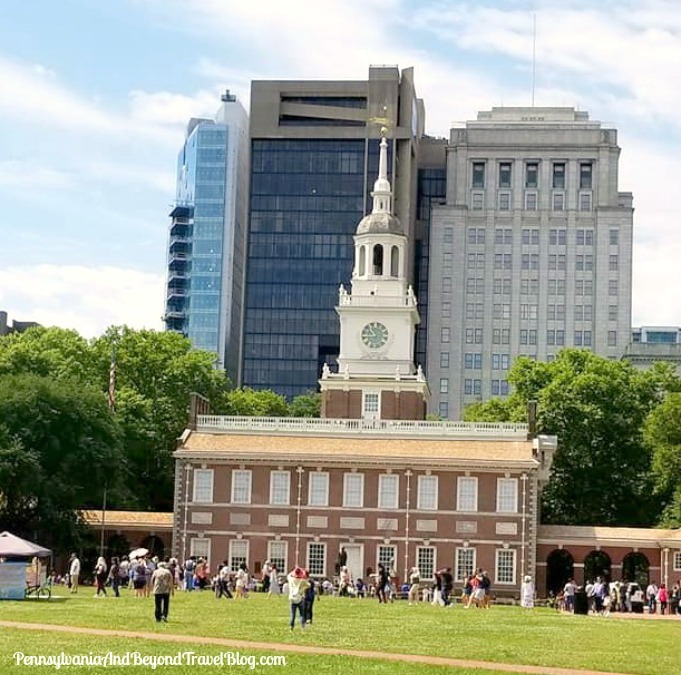 If you plan on visiting Independence Hall National Park during the months of March through December, you'll need an admission ticket. If you plan on visiting during January or February, no ticket is needed. However, you'll still have to pass through security screenings. You should arrive at least 30 minutes before the time stamped on your admission ticket, to allow enough time to get through the security screening process. The admission tickets are free (for same day admission), but if you're reserving your spot ahead of time, there is a $1.50 processing fee. If you plan on visiting during the busy tourist season, I highly suggest you do advance reservations and get your tickets early. Admission is by tour only. A limited quantity of free tickets are available each day at the Ranger's Desk in the Independence Visitor Center. Again, try to obtain your tickets early in the day. You can always go out and see other sights and then come back, if need be. You don't want to risk that you can't get in on the particular day that you want to visit. 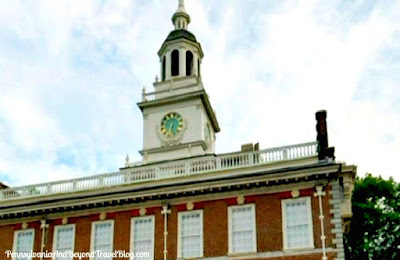 A ranger will give you a tour through the first flour of Independence Hall and give you the history. One of the best things about taking the tour through Independence Hall is that you can see the room where the Declaration of Independence and the U.S. Constitution were both signed. It's a really cool experience to see it and to learn more about it. We learned all kinds of historical facts that we didn't know before our tour. Things that we never learned in school history books, so we highly recommend taking this tour if you can. The Independence Hall Visitor's Center sells tour tickets and they have a cool (free) video that you can watch that gives you even more information. You'll find park rangers at the center who are more than happy to talk with you and you can ask questions and get answers from them. The park rangers love interacting with visitors. It's free to visit the visitor's center and to watch the on-site videos. You'll find a gift shop, a cafe and public restrooms that you can use here too! We really enjoyed our visit to Independence Hall in Philadelphia and highly recommend it to others. If you plan on visiting and taking the tour, you'll want to allow around 3 hours in your schedule, to see and do everything that this national park has to offer. 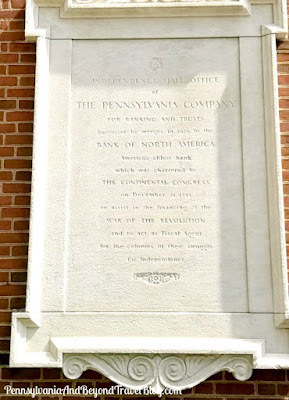 Now that I am living for the moment near Philadelphia I would love to travel to see Independence Hall and go on a tour.